With the Stuttgart carmaker recently adding the C450 AMG 4Matic and GLE450 AMG 4Matic Coupe to its “AMG Sport” stable, it seems that an avalanche of similar cars will be launched in the upcoming years, consisting of both smaller and larger Mercedes-Benz models. The information comes from the Aussies at Motoring, who recently had a chat with Mercedes-AMG boss Tobias Moers. Moers let it slip that a dramatic expansion of the model lineup doesn’t make him afraid of diminishing the AMG brand’s appeal, exclusivity or niche status. “I don’t care about the niche brand, I don’t even care about the exclusive brand,” he told Motoring at the C63 and C450 AMG press event. “AMG is the performance and sports car brand of Mercedes-Benz cars and if you bring cars to the market which are representing the AMG approach and attitude – driving performance – in that segment, then you don’t have a problem with the brand.” Moers continued. Interestingly, the Mercedes-AMG boss also talked about the C450 AMG’s only direct rival, making it sound like there are no worries in the Affalterbach camp. 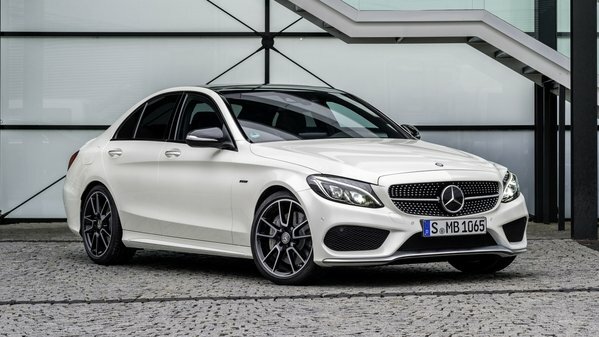 “If you step into the sport model segment with the C 450 – if it comes to a competitive test with our competitors, a comparison with the Audi S5 or whatever – then our car must be in front.” That said, more AMG Sport models with no direct predecessors are set to appear in both the compact range and the upcoming E-Class. Continue reading to learn more about Mercedes’ “AMG Sport” lineup. Mercedes-Benz Plans AMG Sport Model Growth originally appeared on topspeed.com on Tuesday, 3 March 2015 16:00 EST.